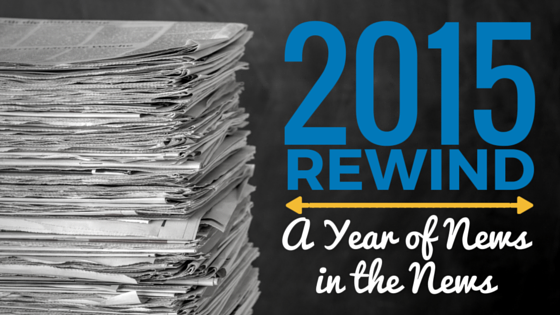 When I sat down to contemplate the biggest media stories of the year, I realized that the subjects I wrote about last year – journalism fears, drones, and plagiarism – were still very much at the center of the news in the news in 2015. The WDBJ shooting, the drone debate, and Brian Williams’ embarrassing suspension from NBC Nightly News immediately stood out in my mind. These stories struck me because of the lasting implications they have on how journalists do their jobs. Last year this time, I wrote about journalists’ fears reporting overseas, following the tragic deaths of freelance journalists James Foley and Steven Sotloff by Islamic militants in Syria. It hit much closer to home in 2015 when Roanoke, VA, reporter Alison Parker, and her photographer Adam Ward, were gunned down by a former WDBJ reporter during a routine live shot on an early August morning. This unprecedented act of violence against two reporters on American soil sent shock waves throughout the media industry. There was an outpouring of support as media from around the world mourned the loss of two of their own. 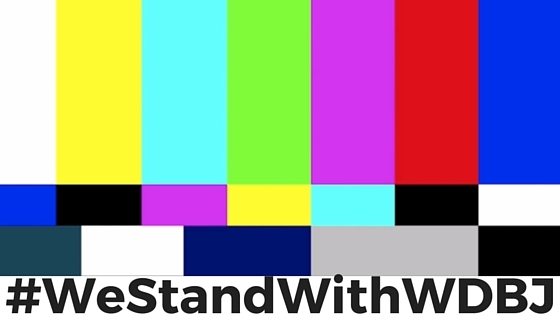 Newsrooms across the country began posting #WeStandWithWDBJ tributes. TV bars replaced profile pictures on social media, to show solidarity. At the same time, broadcasters reevaluated their security policies and TV reporters questioned their safety. It was a reminder to stay vigilant at all times. No doubt, members of the press – particularly those in television news – were shaken and are looking over their shoulders more than they used to. Drones were in the news a lot this year. As private ownership grew, so did security concerns about the unmanned devices in public areas and at live events. Collisions occurred at the US Open and a Kentucky football game. The White House also had to go on lockdown after a small drone made its way over the fence. Safety aside, drones present a much different challenge for the media who are anxious to use its technology to better cover stories from the air. So what still stands in their way? The FAA. The agency is now asking for registration of all drones under 55 pounds, via a site launched this week. They also propose that journalists doing commercial work obtain “operator certificates” in order to fly. Until any final decision is made, drone use for newsgathering is restricted without permission by the FAA. The only way journalists can capture and publish such images is through a licensed pilot, among meeting other potential requirements for commercial use. It’s a big blow to media companies – at least for now – especially as hobbyists continue to fly. Buzzfeed was buzzing last year when over 40 instances of plagiarism by its politics editor, Benny Johnson, were discovered. Johnson was let go and the company issued an apology to readers. This year, it was NBC executives who were faced with an embarrassing situation involving rising star Brian Williams. Williams admitted to exaggerating a story about being on a helicopter that was shot down in Iraq. Shortly after this revelation, more questions arose about the veracity of Williams’s reporting during Katrina and other big stories. The Columbia Journalism Review cited it as one of the worst instances of journalism this year. Ultimately, NBC suspended Williams for six months. He returned to the airwaves in September on MSNBC, but it’s unlikely he’ll get his own show anytime soon. Interested in news about the media issues, trends and other updates? Sign up for media news announcements from PR Newswire via the PR Newswire for Journalists web site. Brett Simon is PR Newswire’s director of audience relations and was a television reporter in her former life. Follow her @savsimon.